The City of Toronto and The 519 have announced the design team that will join the More Moss Park public consultation process. MacLennan Jaunkalns Miller Architects (MJMA), one of Canada’s premier designers of community and multiple-user projects, will work with local residents and communities to develop a shared vision for recreational facilities and green space in Moss Park as part of the current feasibility study. This year’s recipient of the Royal Architectural Institute of Canada Firm Award, MJMA is a Toronto-based firm that has designed innovative community facilities that include the Regent Park Aquatic Centre, Wellesley Community Centre and St. James Town Library, and the Goldring Centre for High Performance Sport at the University of Toronto. “Moss Park represents a remarkable opportunity – a ‘once in a generation’ project that can redefine the limits on diversity and inclusion in the public realm; and create a civic hub for a truly unique and dynamic community” says lead architect Robert Allen, a partner with MJMA. The MJMA team is a cross-disciplinary collaboration that includes urban design and landscape architecture firm West 8, based in Rotterdam and New York. Locally known for the Toronto Central Waterfront redevelopment, including the wave decks and recently opened Queens Quay Boulevard, West 8 is also responsible for notable international projects such as the competition-winning Governors Island Park and Public Spaces in New York and Madrid Rio in Spain. The team also includes Public Studio, the collective art practice of Elle Flanders and Tamira Sawatzky, with a diverse local and international portfolio of large-scale public art works, films, immersive installations, and culturally engaged projects; and LGA Architectural Partners, a Toronto design firm that creates sustainable, contextually sensitive and socially minded architecture. The firm is well-known for realizing places that support healthy growth and vibrancy in their communities including The Centre for Native Child & Family Well Being on College Street and the Scadding Court Market and SvN: a multi-disciplinary planning and urban design firm with a long history of community development and extensive experience in the neighbourhoods surrounding Moss Park. “It was important to partner with a team of designers that not only have the experience but the vision to utilize the feedback from the community and create a park space and facilities that are welcoming and accessible for everyone who uses Moss Park,” says Howie Dayton, the City of Toronto’s director of community recreation. 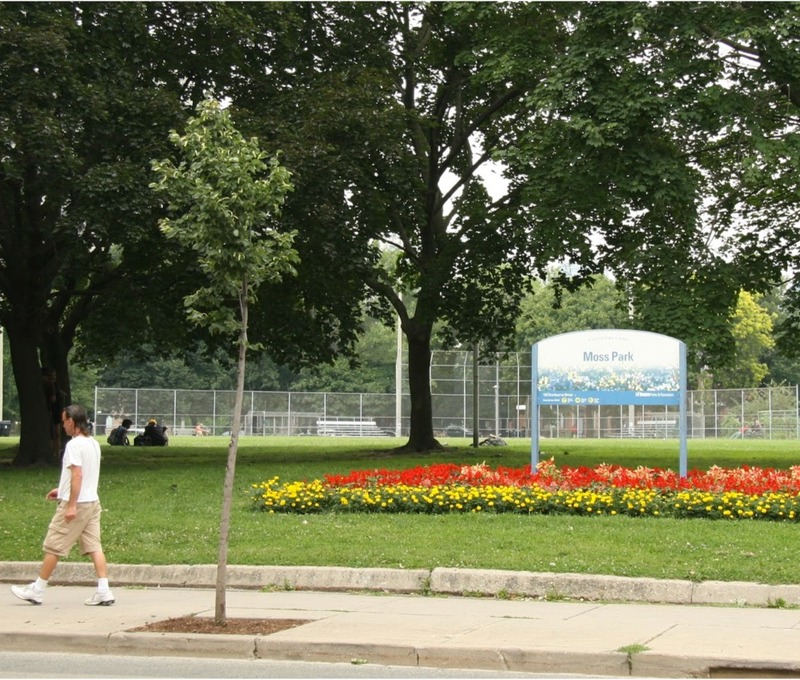 The More Moss Park consultation process is a unique project that encourages all local residents and people who use Moss Park — or would like to — to share their ideas and experiences to help shape a collective vision for new recreational facilities and park space. The City of Toronto and The 519 will be hosting the first public roundtable discussion on May 31, 2016 at the John Innes Community Centre at 6:30pm; and the second public roundtable discussion on June 6, 2016. The design team and architects will attend both events to gather insight from the community and answer questions along with representatives of the City of Toronto and The 519. Photo courtesy of More Moss Park.